Windows 10: App History without Microsoft account? [German]Microsoft is probably able to track the Microsoft store app history, i.e. what you have loaded as an app in the store, even without a Microsoft account. This may be shown within the store’s app history. [German]Microsoft explained the error ‘The configuration registry database is corrupt’, which is triggered during launch of win32 store apps in Windows 10 V 1809. [German]There is a nasty trend in Apple’s macOS App Store: Security researchers have independently found different apps that are collecting sensitive user data and uploading it to servers controlled by the developer. The mail app of Windows 10 doesn’t support to send group emails to contacts located within the people app. The creation of groups in the people app is not possible. Now a Microsoft employee is trying to push the topic. [German]It looks like the mail app included in Windows 8.1 suddenly rquires to log in to a Microsoft account to. Here are a few hints. Addendum: The user has solved the issue – explanation inside. [German]Microsoft seems to allow links in mails that are displayed via mail app to be opened in any browser. This is a fundamental change, because Microsoft announced earlier this year, that such links will be opened in Edge browser only. 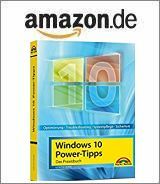 [German]Important information for users and administrators of Windows 10, Microsoft says in a new KB article that uninstalling the Microsoft Store in Windows 10 and reinstalling it later is not supported.